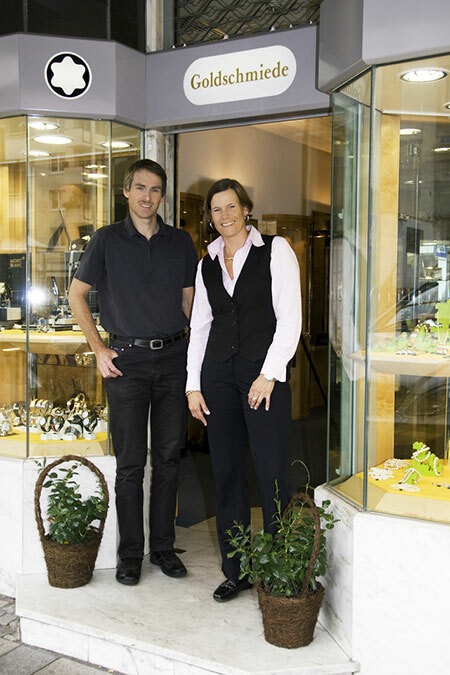 Our professional goldsmith designs and finishes gold and diamonds into original artworks of jewelry. All your jewelry repairs are also in good hands. For your own designs, Jasmin Dobrawa, with her 25 years experience, is at your disposal to help making your ideas come to life. With a fine eye for detail from the first sketches to the extravagant packaging of your original piece. Over 35 years of experience from goldsmith Lutz Wander makes your wishes become reality with master precision in gold and silver. From the wax pattern all the way to the perfection work of mounting the gems. All from one hand! Nice jewelry is something miraculous. 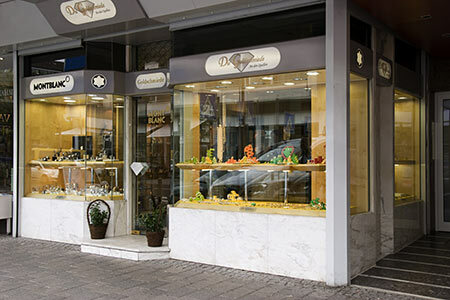 You can pick your new favorite jewelry from our wide selcetion and huge variety of rings, bracelets, necklaces and jewels. We control and polish your old jewelry with pleasure, so it can be worn by many generations after.